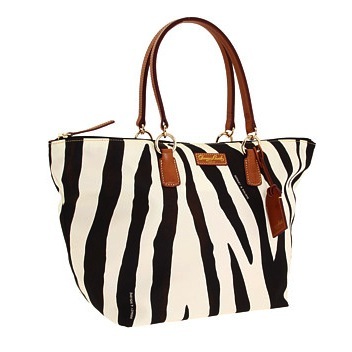 Each and every characteristic on this lush Dooney and Bourke® Zebra shopper has its own chapter in your fashion novel. Holds your wallet, sunglasses, personal technology, red pens and a notebook. Interior lining with a back-wall zip pocket and multifunctional slip pockets.